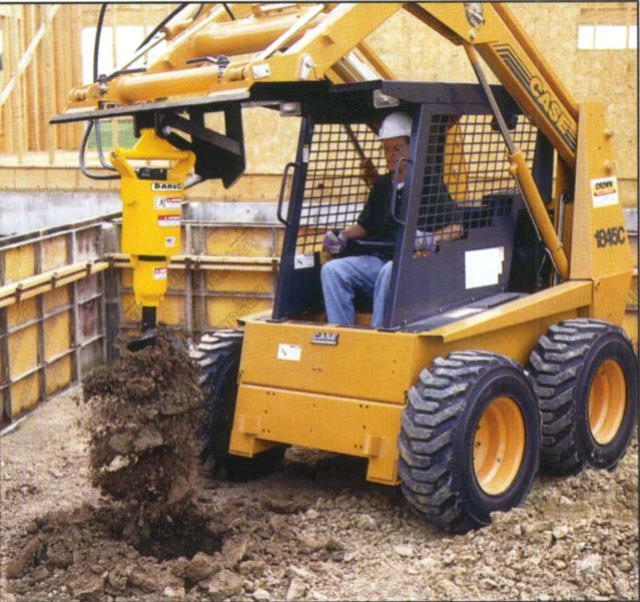 Powerful hydraulic post hole digger for skid steer loaders. 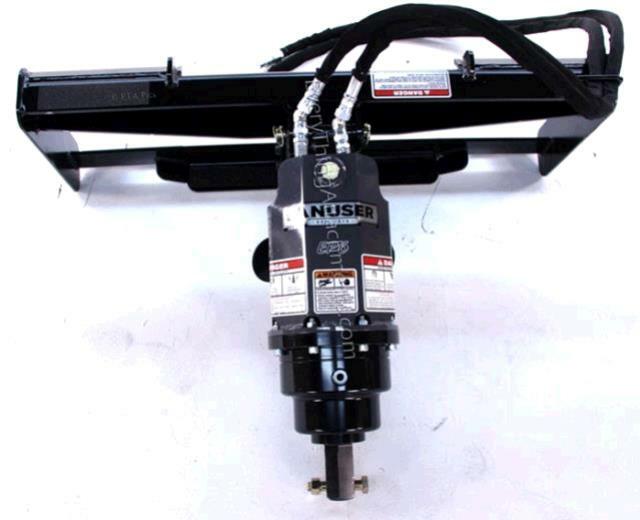 Mounting bracket incorporates the universal "Quik-Tach" system to fit newer machines. Hydraulic fittings are the standard Flat-Face couplers. Required hydraulic flow: 8 to 20 gpm (15 gpm is optimal). - Hydraulic flow rate determines the auger rotation speed. Required hydraulic pressure: 1,500 to 3,000 psi. - Hydraulic pressure relief settings determine auger digging torque. This digger incorporates a low-speed, hi-torque hydraulic motor which transfers torque to the auger through a roller chain reduction. Auger plumb line is provided by the double jointed, universal joint swivel. Allows plumb holes even if the machine is on un-even ground. This unit weighs 285 lbs w/out auger. Digger shaft is 2" Hex. 9" - 12" - 18" - 24" augers are available. * Please call us with any questions about our hyd post hole digger for skid steer rentals in Oak Grove MO, Blue Springs MO, Independence MO, Lexington MO, Odessa MO, Independence MO and Western Missouri.